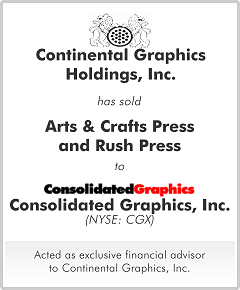 You are here: Home / Mergers & Acquisitions / Continental Graphics Holdings Inc. The financing consisted of a revolving credit facility and term loan secured by the working capial assets and machinery and equipment, respectively. 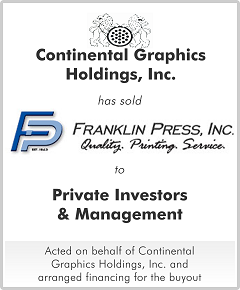 A separate real estate term loan was raised using Franklin’s property as security.